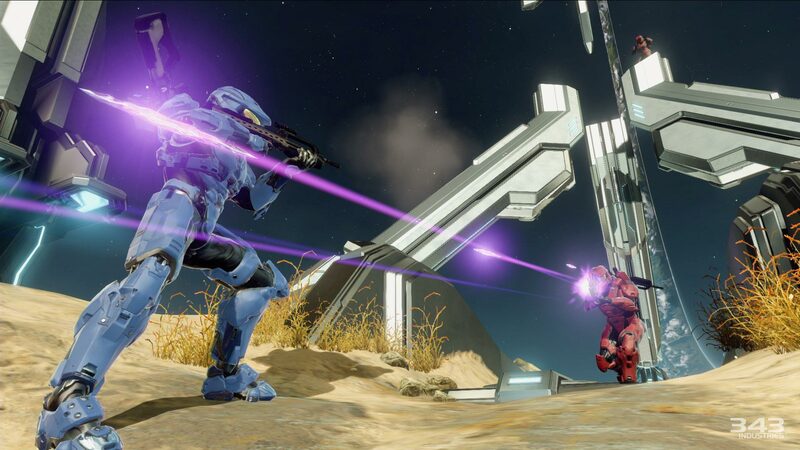 Microsoft owes an incredible amount of the Xbox’s success to the Halo franchise. It’s hard to tell what the state of the system would be like without it, but Halo clicked with so many that it catapulted the Xbox to a good level of credibility. This year’s Comic Con showed SmashPad some first-hand glimpses at the upcoming Xbox One release of Halo: The Master Chief Collection. One of the primary goals of the Master Chief Collection’s development was to stress the idea of one cohesive story. 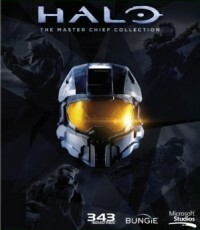 Therefore, the Collection only includes the Halo games that focused on Master Chief, Halos 1-4. The singularity goes so far as to spread into the UI: rather than each game loading its own menu, all games are accessible through a playlist-building UI that will allow you to dive into any game in any order. That means all campaigns will be unlocked from the start, avoiding any sort of penalty that would force you to play through every level all over again. Don’t want to play through some campaign that was ungodly hard for you in Legendary? No problem. Want to keep playing Silent Cartographer to storm the beach with some awesome guitar riffs? Do it (oh, just me?). There will be plenty of choices, all handled through playlists. Playlists won’t be just about building simple level lists. You’ll be able to play the game in a wider variety of ways through the cross game connection. One example that was loaded up was the Vehicle Playground, a list comprised of only vehicle-based campaigns from all four games. But what would this collection be without the ultimate playlist: all four games packed into a single playlist. Developers joked that at least a few would try to play through that list in a single sitting. Not much about the gameplay will have changed. The primary difference will be the revamped cinematics and graphics. 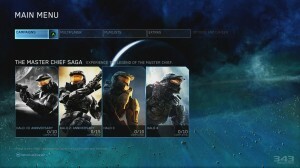 Like Halo Anniversary, the games can be played in updated graphics or with the original. Unlike Anniversary, though, the transition between the graphic switch will be immediate. That said, gameplay can be changed via the traditional skulls, of which there will be 30 for the Collection. Terminals will also make their appearance to add background story elements. Halo: The Master Chief Collection releases this November and will include access to the Halo: Nightfall digital series and early access to the Halo 5: Guardians multiplayer beta.